Remember that there is a 15% discount on ALL TJ stamps by using the coupon code XMAS15. Remember to use the code XMAS15 to received 15% off your entire order from www.stampcamp.com. Welcome to Day 19 of the 30 Days of Christmas! Whether you are a Black Friday shopper or not, you can't help but to have the holidays on your mind now -- so let's celebrate together! I am happy to bring you this Christmas Dove (S471) today. 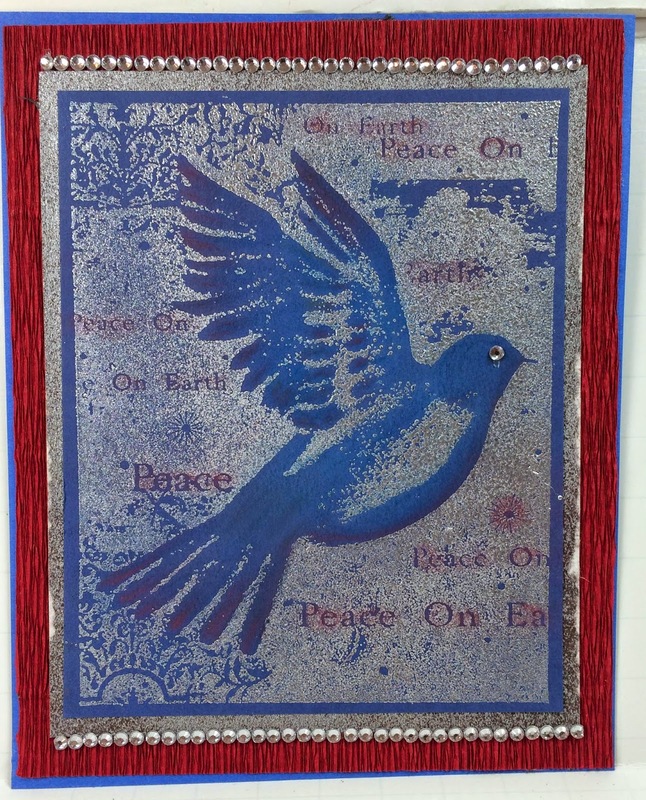 I stamped the dove over blue cardstock and embossed it in silver, adding red highlights with metallic rub-ons. 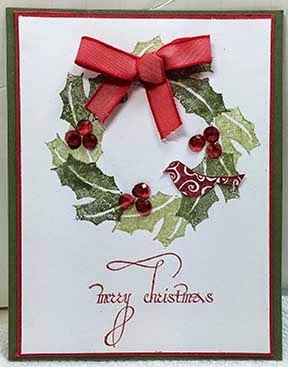 Remember to use XMAS15 at checkout from www.stampcamp.com to receive 15% off your entire stamp order. 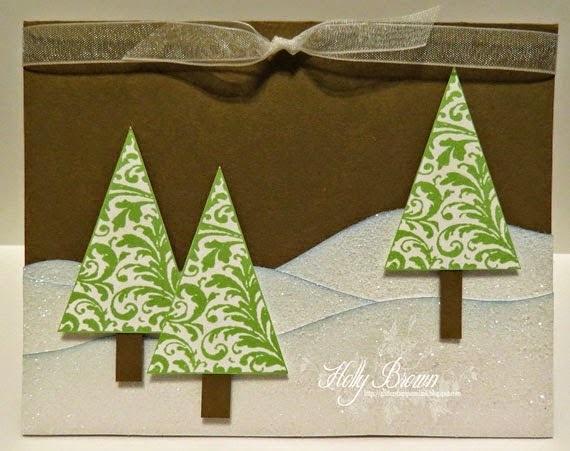 This card simply uses the Snowflakes set. You can get the snowflakes as one big background, or each of the 16 stamps individuallycut for you. You can find it HERE: S235. 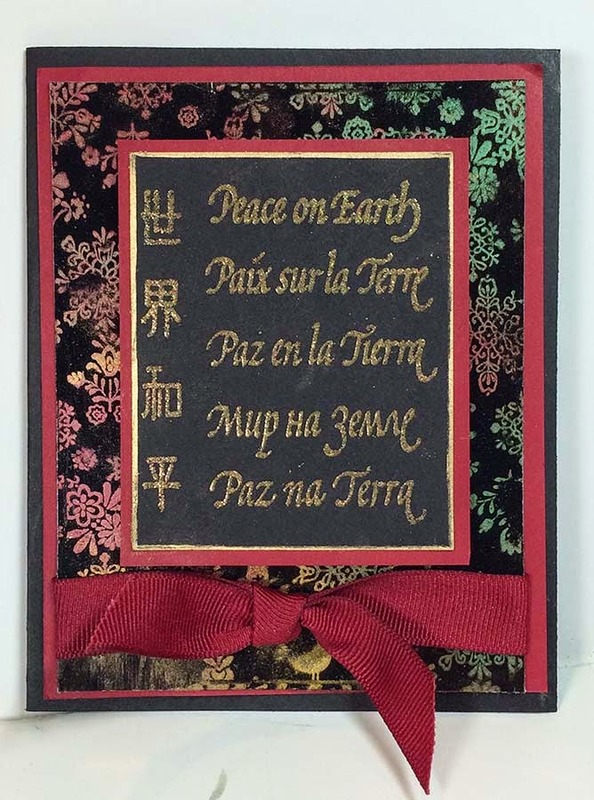 The Magic of Christmas sentiment can be found on the same page. 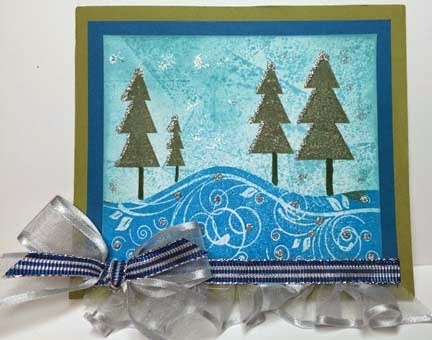 I embellished this card with some glittery red snowflakes. Thank you for looking -- see you tomorrow! 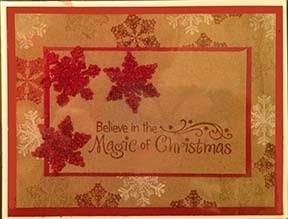 The base of the piece is a red mirrored cardstock that has been embossed with a snowflake folder. It is very dimensional in person. I love this layered look -- I hope you do, too! 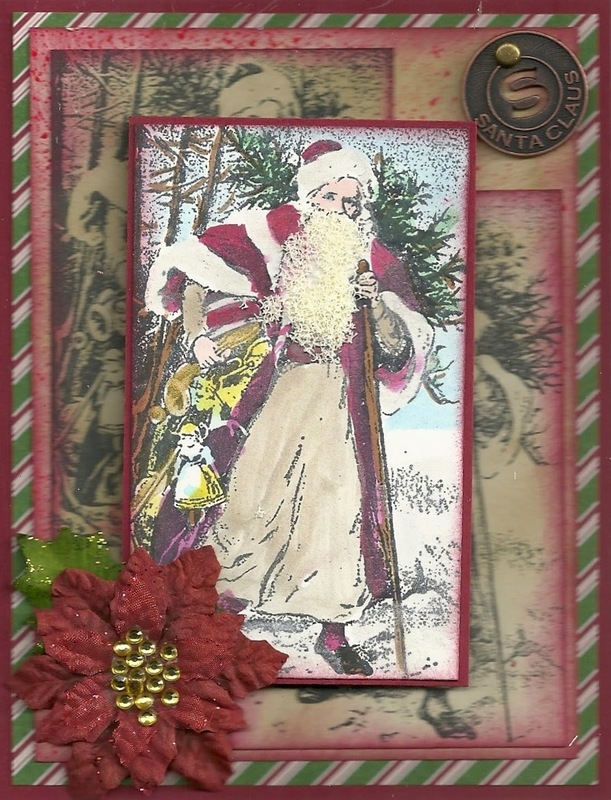 For Tuesday, November 25, the 30 Days of Christmas was brought to you by Jane Bosi on the Design Team blog: http://techniquejunkies.blogspot.com/2014/11/father-christmas-30-days-celebration.html. Jane's work is even more beautiful in person! Welcome! Two weeks have gone by and we are halfway through the 30 days of Christmas. I have been out of town for the last 4 days, so if you missed the last four postings, you can catch up here: patstamps.blogspot.com. 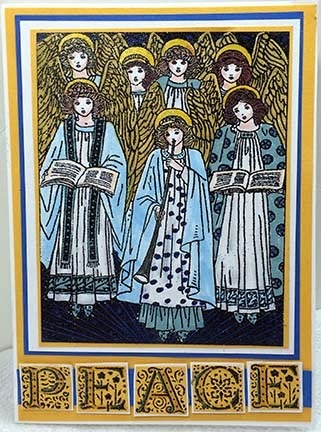 Today we are celebrating the Angel Choir Stamp (#S592). I colored this stamp with regular markers, very simply in yellows, blues and gold. 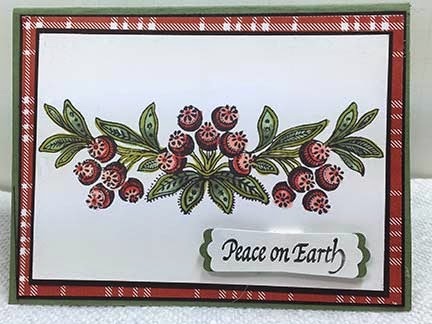 Then I took the Peace Stamp from the Christmas Words set (#SS029), stamped and colored it, cut it apart and oriented it horizontally. That is what is great about those stamps -- they can be used vertically of horizontally. 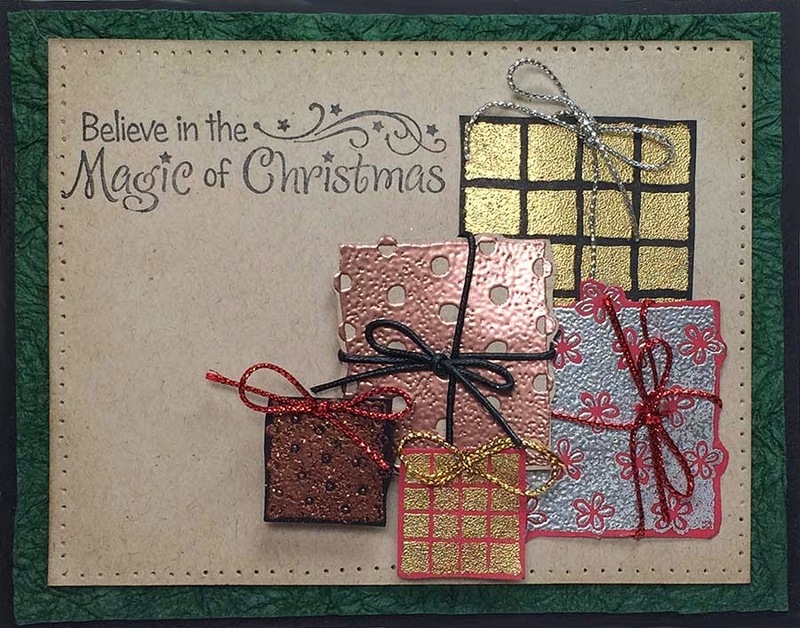 Don't forget to use your coupon code XMAS15 to receive a 15% discount on all Technique Junkies Stamps! I will be back in town tomorrow -- see you then! 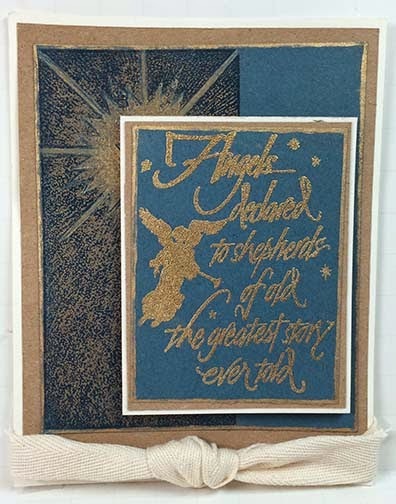 This card uses the Vintage Star (S373) for the background and the Greatest Story Stamp (SD429) for the angel stamp. 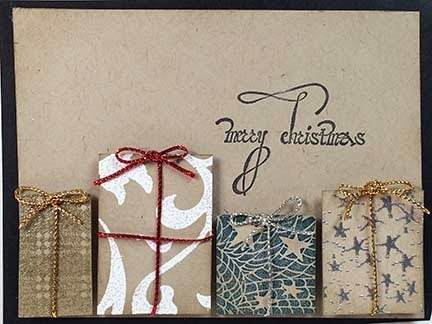 Don't forget, ALL stamps are 15% off for the next two weeks with the code XMAS15. The Directions for the tall Accordion card can be found on the Fancy Folds and Motion CD (HERE). 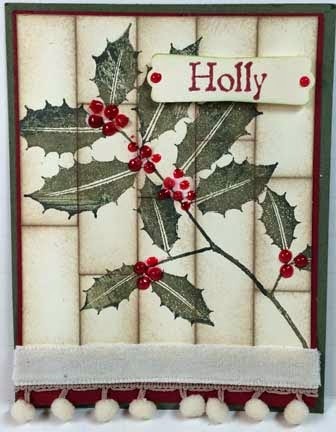 All of the details about how this card was made can be found on Holly's post! The stamp used for the boys is called Pillow Fight (#SD324) and the sentiment is Magic of Christmas (#SD428). Tomorrow we have a guest blogger -- see you then! It's Day 10 of the 30 Days of Christmas - How about a little color? 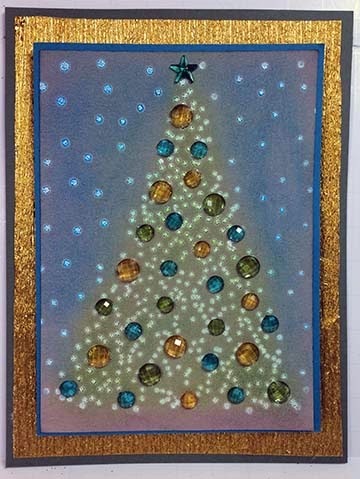 This card uses the Glitter Strips Technique from the Glimmer Shimmer Sparkle and Shine CD. I paired 3 different - and unlikely - stamps for the colored panels. 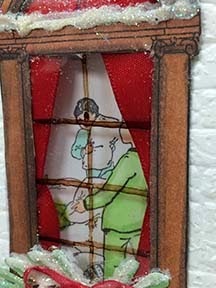 The red panel uses the Big Swirls Stamp (S426), The smaller green panel uses the large Porcelain Crackle Stamp; and the bright green panel uses the Chicken Wire stamp (S393). 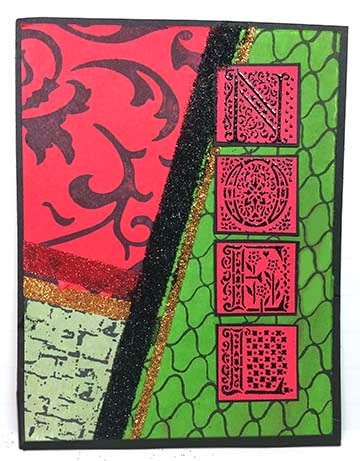 I stamped and embossed Noel from the Christmas Words Set (SS029), then I cut it apart and matted them. Tomorrow I have a VERY elaborate card to share with you - I can hardly wait! 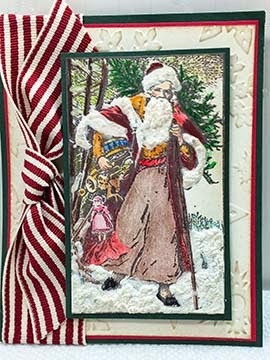 Judy explains on the blog how she made this card - please go visit her here so that you can see the second card she created! 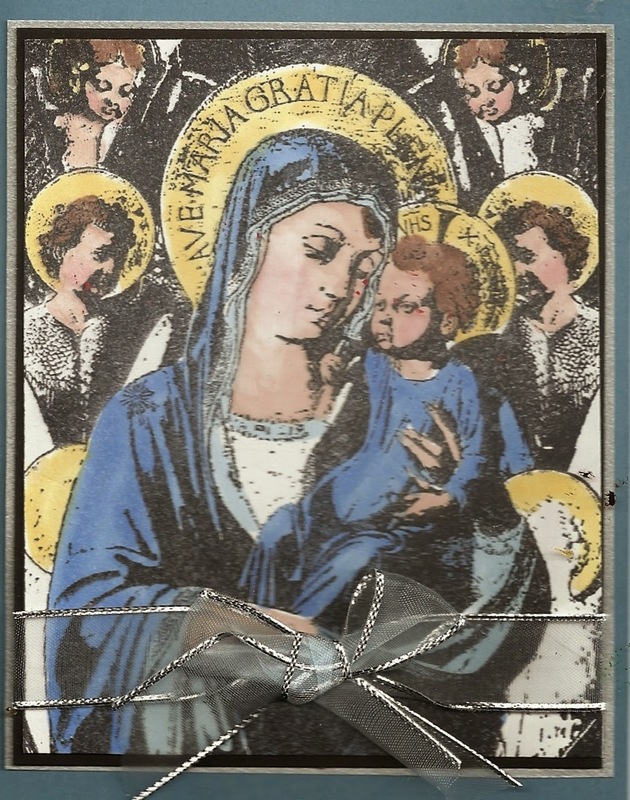 This stamp is S313, Madonna, and is $9.95. Until tomorrow - Pat P.
I can't believe that 8 days have already gone by! I hope you've enjoyed the cards so far. Obviously we have many more to come. 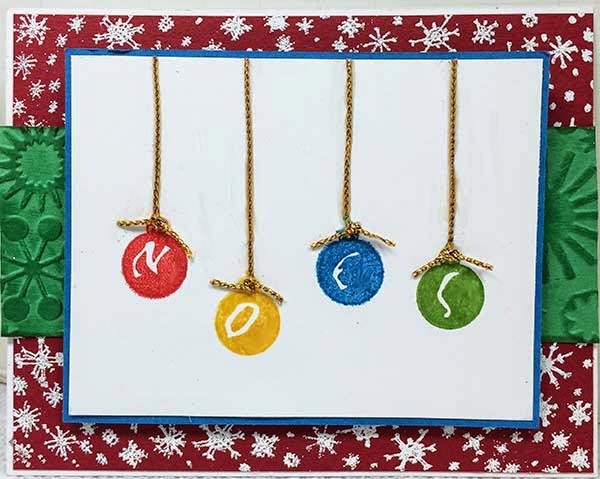 Today's card uses the Technique Junkies Christmas in Dots stamp (S470, $9.95). This was a very simple card. I stamped on a dark purple cardstock piece and embossed it in white. Then I added color to the tree, base and background using chalk. I added the colored gems as ornaments before mounting and matting the cardstock. Today is Day 7 of the 30 Days of Christmas! 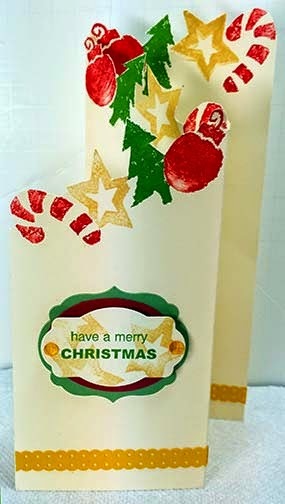 Today I decided to use non-Christmas stamps to create my card. 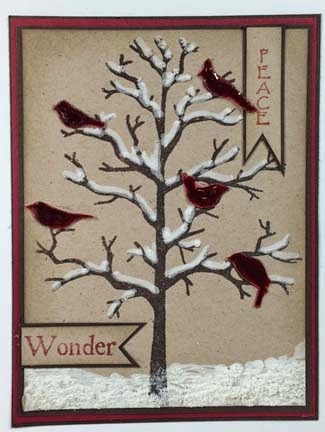 The vertical sentiment is from the Simple Sentiments Set (#SS3C); Wonder is from the Dream Hope, Wish, Wonder, Set (SDX019). 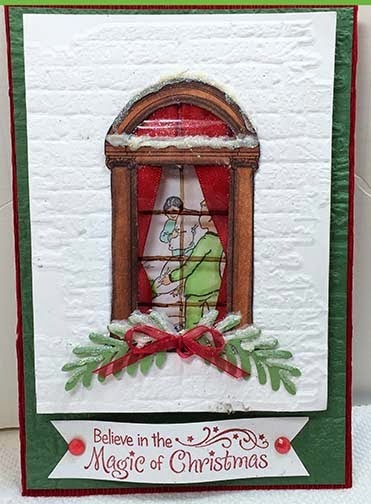 I am so thrilled to continue with the 30 Days of Christmas, where we are sharing Christmas Cards every day from November 10th through December 10th to celebrate the art of the handmade holiday card. In addition to the cards, I am also offering 15% off ALL Technique Junkies Stamps through December 10th with the code XMAS15. 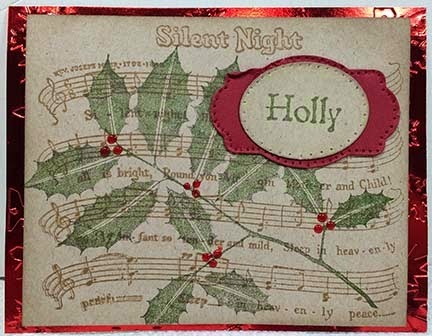 Today's card uses the Vintage Botanicals Holly stamp (S334, $9.95). I used the Aged Tiles Technique from the Simple and Easy Inking CD to highlight the image and enhance its vintage look. The berries were made with Viva Decor's Red Glass Effects. The ribbon is a piece of beige velvet layered over the pom=pom ribbon. I hope you liked the card today. The Vintage Botanical line is one of my favorites (there are several different leaf stamps in the same ilk, you can find the others here). I think the holly makes an especially pretty Christmas cards. Today I am thrilled to have a guest blogger for today's 30 Days of Christmas Post. 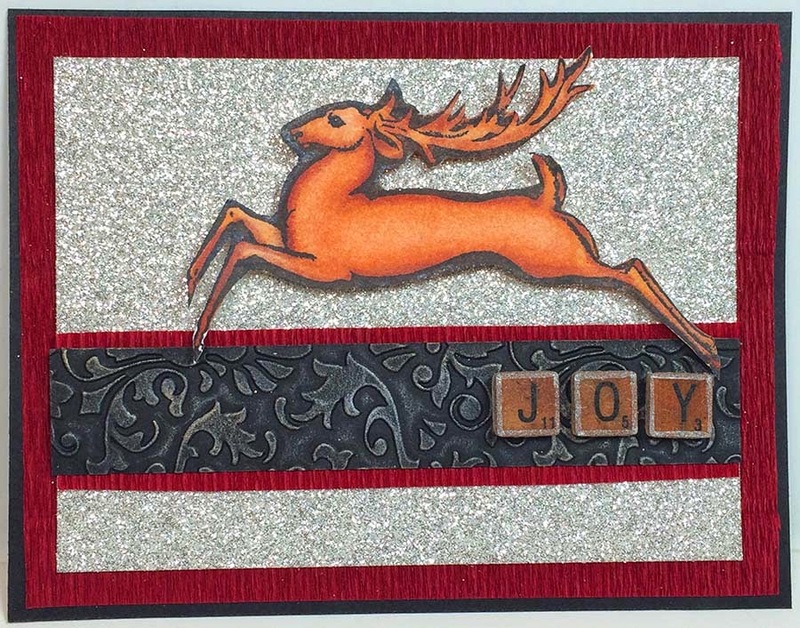 Ann Clack, a designer on the Technique Junkies Team, has created a to-die-for Christmas Card. You can see the full card HERE. Ann used the Angel of Annunciation (SD070) for her main image. 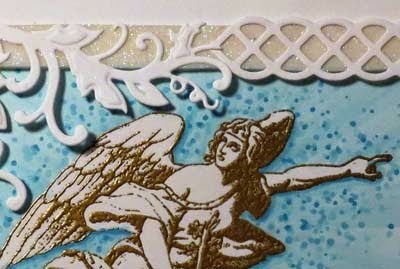 I encourage you to go to Ann's blog to see the card in all it's glory - it is GORGEOUS!